The Pontifical Swiss guard is a group of Swiss Guards that have the specific task of guarding the Vatican City State and the Pope. Therefore a Pontifical Swiss guard is sometimes referred to as a Vatican Swiss guard. They are known for their helmets and unique striped uniforms and they have become one of the symbols of the Vatican. Following an alliance with the Swiss confederation the first group of the Pontifical Swiss guards was welcomed into Vatican City on the 22nd of January, 1506 by Pope Julius II. The group contained 150 guards. These guards were commanded by Captain Kasparvon Silenen. Ever since, the Swiss guards have served as the Vatican police force. 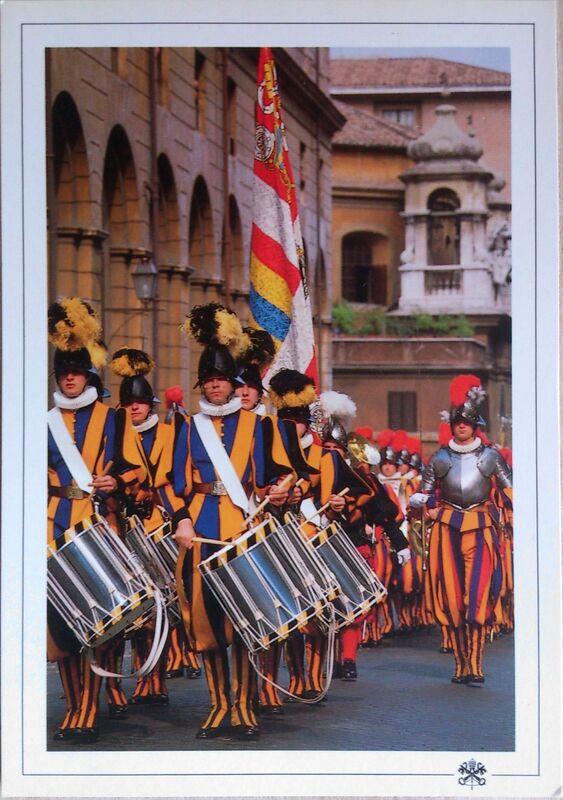 The Vatican Swiss guards have official uniforms of blue, red, orange and yellow colors. The uniforms are tailored inside the Pontifical Swiss Guard barracks. The guards also have some equipment: both traditional and modern arms including a sword, command baton, flamberge, partisan, cuirass with spaudlers, etc. 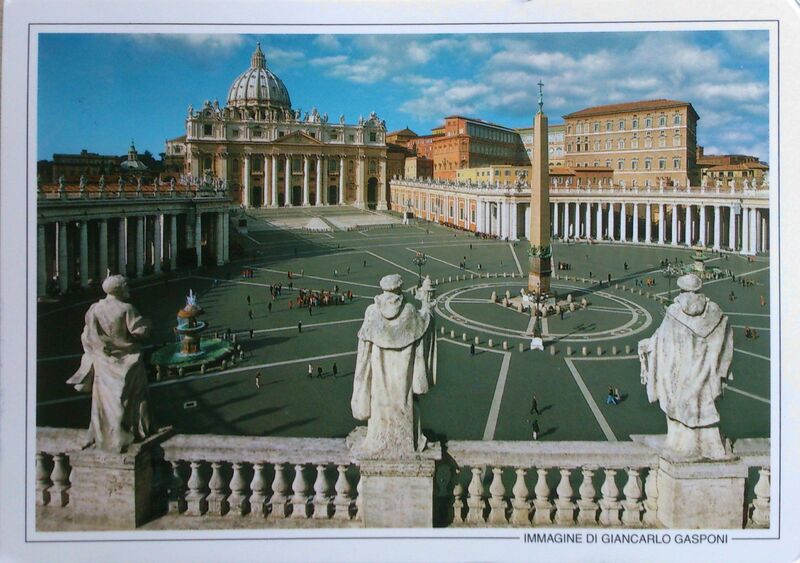 St. Peter’s Square is a massive plaza located directly in front of St. Peter’s Basilica in the Vatican City, the papal enclave surrounded by Rome, directly west of the neighbourhood or rione of Borgo. At the centre of the square is a four-thousand-year-old Egyptian obelisk, erected at the current site in 1568. Gian Lorenzo Bernini designed the square almost 100 years later, including the massive Tuscan colonnades, four columns deep, which embrace visitors in “the maternal arms of Mother Church.” A granite fountain constructed by Bernini in 1675 matches another fountain designed by Carlo Maderno dating to 1613.